So you need to move a car from one place to another; how do you choose whether you need car shipping or towing? Does it make a difference at all? If you’re new to the business of transporting cars, you might be shocked to learn that there are several distinct methods to ship cars, and options within options. For instance, you could choose to tow your car with another car, either with all four wheels on the road, or with two raised. Likewise, if you choose car shipping, you could choose to have your car transported in the open air, or in an enclosed container truck. While one method is more suitable to one type of transport, both have their own benefits. It really depends on your reason for car shipping or towing and the specifics of your car. One example is car dealers who buy vehicles from auctions. Now, one dealer cannot drive more than one car at a time – and some salvaged cars can’t be driven – and it is unproductive and costly to bring along several people to drive away all the cars they’re buying. The challenge is that most auctions charge a storage fee, and demand that cars be removed from the premises within a certain deadline – usually 24 hours. Auctions also tend to have strict car loading policies. The biggest difference between car shipping and towing is that tow trucks are usually called as and when a vehicle needs to be transported for a short distance on the same day, while car shipping is booked in advance. 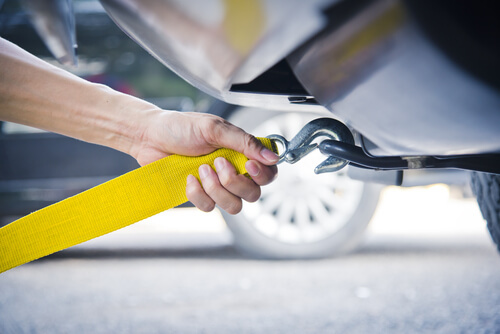 When you tow a car, you typically have to remove any personal belongings, while you can usually ship up to 100 lbs or personal belongings (permitted items only) when you ship your car. They work mainly for parking lot companies, handling illegal parking, and recovery of repossessed vehicles. It would typically be taken from an accident scene to a repair shop or a junk yard. Or, in the case of a breakdown, a truck would tow your vehicle from the roadside to the mechanic’s workshop. 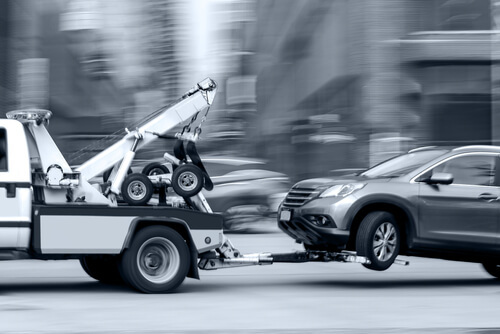 When you call a standard tow truck, rather than a car carrier or a flatbed, there’s the risk of damage as many tow truck drivers tend to be in a rush to attend to their next job. They are paid on a per-project basis, so they are under pressure to handle as many jobs every day as they can and this might lead to clumsiness or recklessness. This might be a factor in whether you choose car shipping or towing. You have to handle your own security, permits and navigation. Some people feel that when it comes to choosing car shipping or towing, the former stands out. 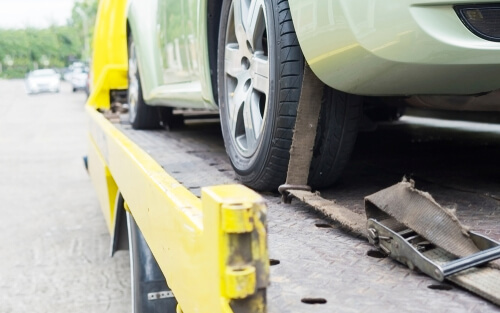 While a single towing vehicle (conventional tow truck, flatbed, or your personal vehicle) tows your car, car shipping companies use a special flatbed or double-decker car carrier to transport your car along with up to ten other cars at the same time. The car shipping industry is huge; Nationwide Auto Transportation has access to a fleet of over 2,000 carriers that transport cars across the lower 48 states. Each car is on a rack that can move autonomously for easy loading, and secured using specialized equipment. Yes, your car will be exposed to the elements while it is on the truck, but no more so than when you’re driving it on the road in rainy or windy conditions. With car shipping, you have the option to ship your car on an open trailer or in an enclosed truck. If you have an expensive exotic or classic car, you might choose enclosed shipping, as this option provides added protection. Car Shipping or Towing: Which to choose? Most people use the circumstances surrounding your need to move your car to make the decision between car shipping or towing. This table should give you a good idea whether you should opt for car shipping or towing. Car dealers, classic car clubs, motorcycle clubs, exotic car owners and experienced car owners rely on Nationwide Auto Transportation. When they are faced with the decision: Car Shipping or Towing, they call us to ship their vehicles.